I can’t really put my finger on what it was about Fethiye that I loved. It may have been the peaceful, small-town vibe, or the lovely people, I really don’t know, but I want to return and wish that I had spent more than 3 days here. Nest door to the Yacht Classic Hotel is the Ece Saray Marina and Resort Hotel (http://www.ecesaray.net/). This is the most expensive hotel in the city (and if you look at their homepage, on the right, to the right of the pool, you will see the Yacht Classic Hotel). I took a peak inside one evening and it is stunning so for all out luxury, this is the place for you. The only thing that prevents me from returning immediately and staying longer is that the food options in Fethiye are pretty dim. The Yacht Classic recommended the roof top restaurant at their sister hotel, the Yacht Boutique Hotel (on the other side of the Ece Saray!) and I should have listened! The restaurants that I went to on my first 2 nights don’t bear mentioning: everything was just uninspired and no different from anything that I could make on my own. And many of the restaurants are crowded together so it’s hot, and sticky, and just not enjoyable. But the rooftop restaurant at the Yacht Boutique is divine! The views were amazing – but I had the view every morning and night – so that’s not what made it exceptional but it was the food. They had Turkish, Indian, and I think even a bit of Italian and it was all just absolutely to die for! I should have gone here every evening! I did hear that the restaurant at the Yacht Classic Hotel was quite good but since I was staying here, I wanted to go someplace different. When I return, I will definitely try it out and let you know! There really isn’t much to see or do in Fethiye to be honest. But if you need to unwind, relax, and recharge, this is the place for you. The boardwalk, if you will, along the sea is lit at night with lots of neon and displays it really is a lovely way to end your evening with a stroll and a breeze. Nearly everything you read will tell you that you need to go to the blue lagoon. Don’t. It really isn’t worth it and is just a tourist trap. 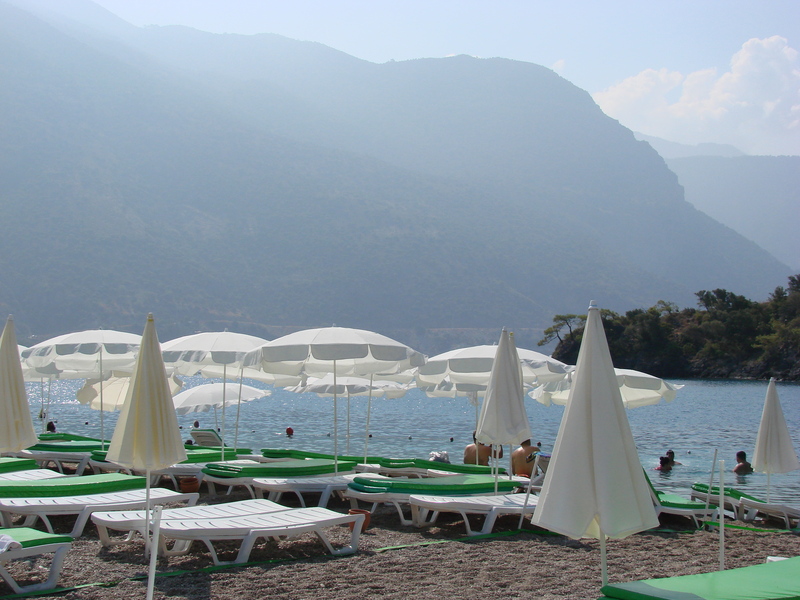 You’ll need to take an overcrowded dolmus to the beach, then pay to enter the park (10TL I think), and then 15TL to rent a sun bed and umbrella. And although I am not one for crowds, this place took it to a whole new level: the sun beds were so close together that I could literally reach out and touch the couple next to me, that’s how jammed the beds were! So stay at your hotel and avoid the crowds. And there you go. 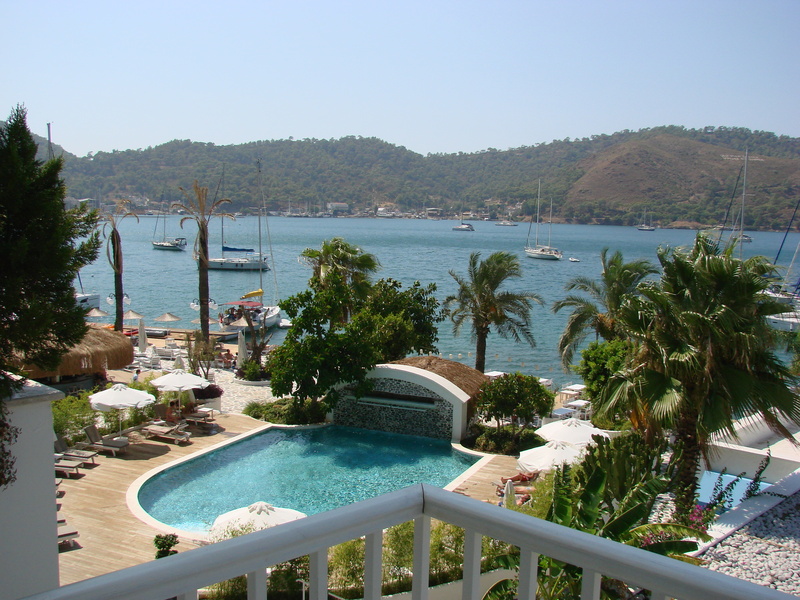 Like I said, I can’t really explain what it was about Fethiye that I loved but I did and I cant wait to return! I hope you enjoy it too! 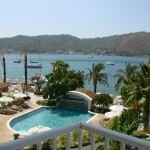 This entry was posted in Fethiye and tagged fethye, ocean breeze, relax, sea, turkey. Bookmark the permalink.